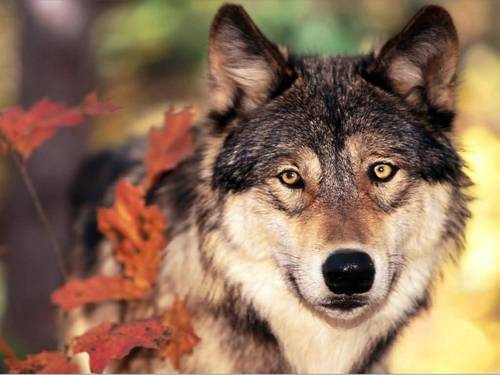 Wolf,In The Autumn/ Fall. serigala covered in leaves. HD Wallpaper and background images in the serigala club tagged: wolf leaves autumn fall photo. and such a handsome face !